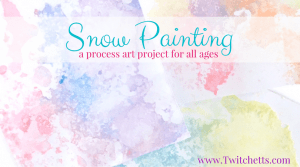 As these winter months keep going and going, I find myself searching for more things to do with the kiddos indoors. 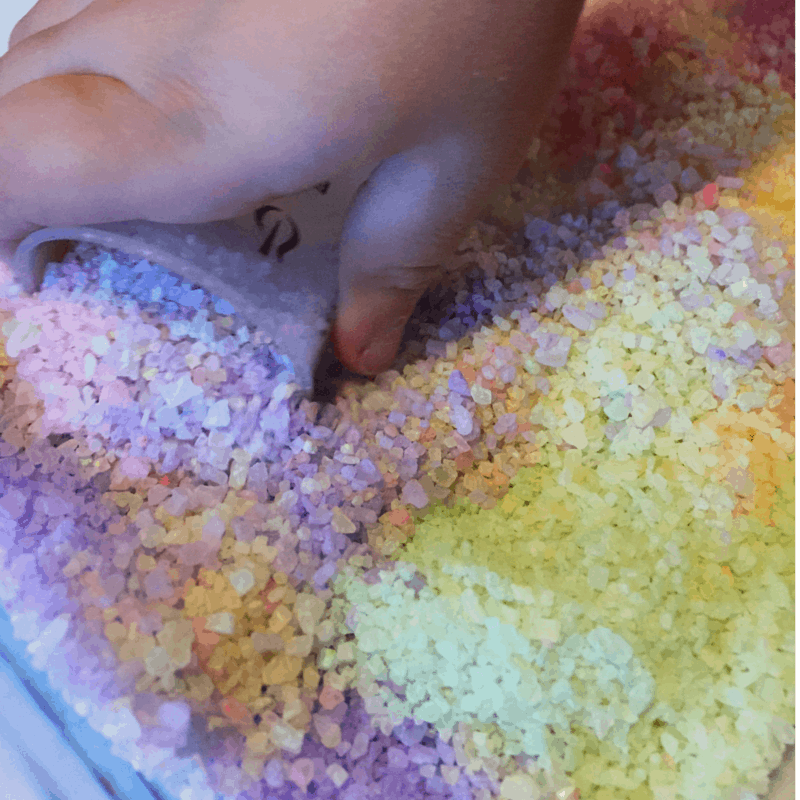 Sensory bins are something that I just started experimenting with for V. She has loved every single one we have done. It doesn’t take much to let their little hands play and explore. 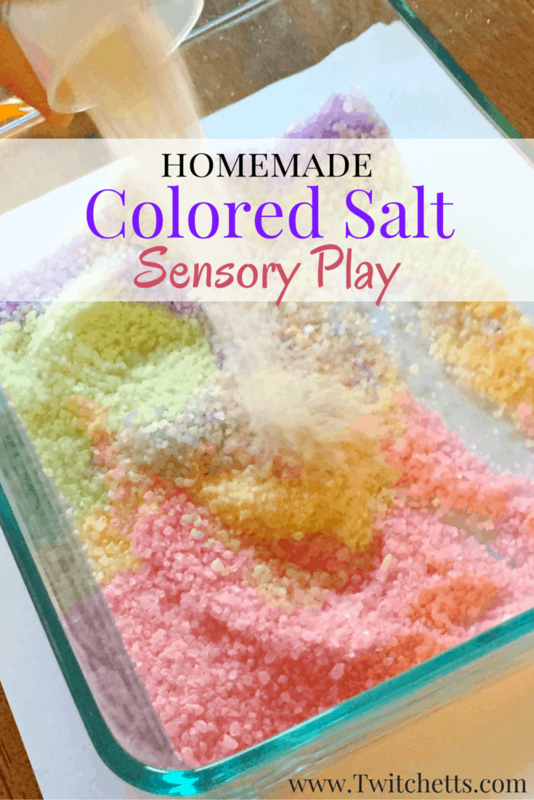 This Colored Salt Sensory Play was a hit! It took under 5 minutes to set up and she has played with it for over an hour for 3 days in a row! 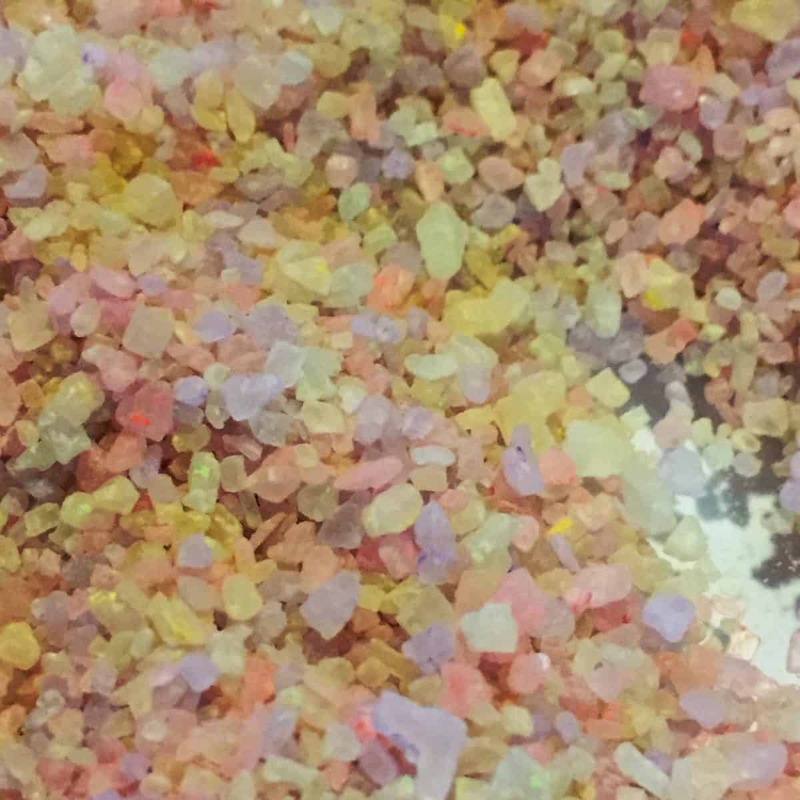 Coarse Sea Salt. 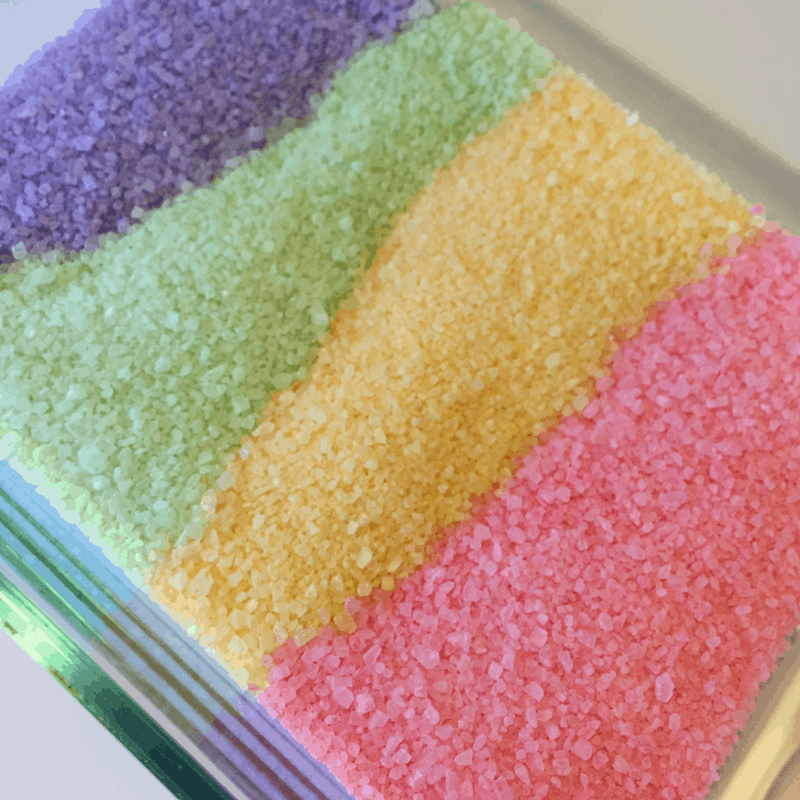 You can use regular salt, but the larger crystals hold the color better. Things to add to your salt. Spoons, medicine cups, any odds and ends to hide and find. Take a few tablespoons of salt and add to your cup. Then use your chalk to stir around the salt. Press the salt against the side of the glass while stirring. 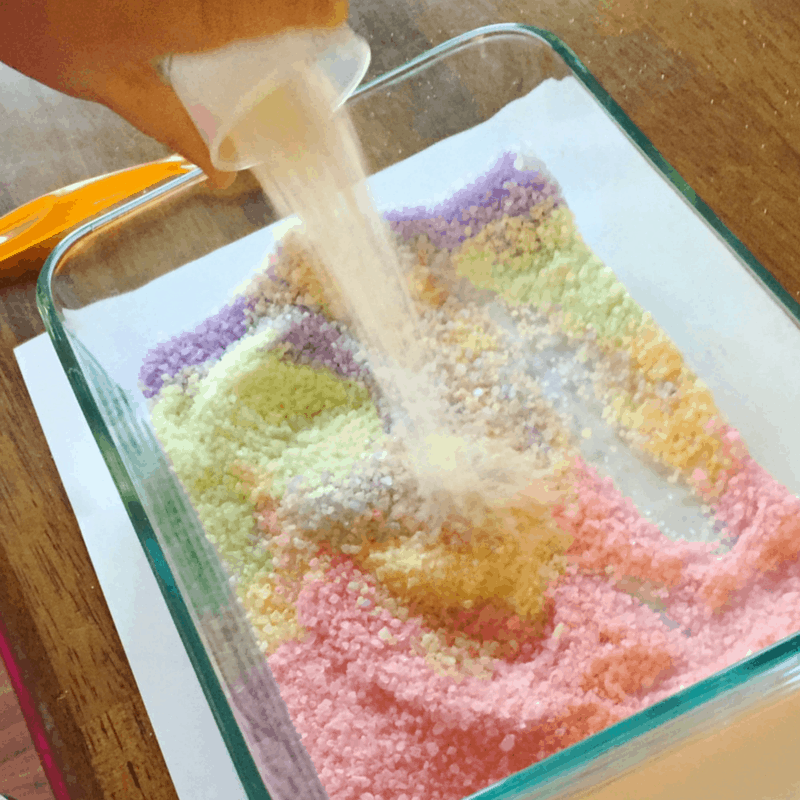 The longer you stir the more color transfers to the salt! Make as many colors as you would like! They are really quick and easy to do. Let them play around with mixing the colors. Scooping up the salt. Pouring it back out… Give them a few small items to cover. Even when V was done you could see some variation in color. This was after an Hour of playtime. It reminds me of aquarium rocks! Of course keep an eye on your kiddos… I had to remind my little one a few times not to put it in her mouth. Good thing it isn’t sugar!! 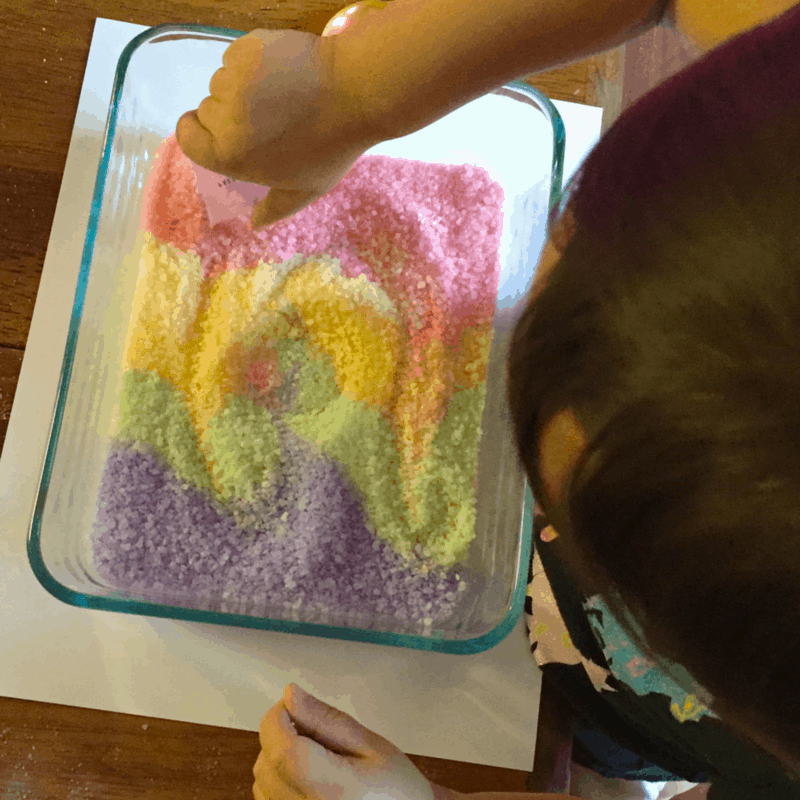 Check out some more fun learning activities using chalk here! I can’t believe how easy this is!!! I’m amazed!